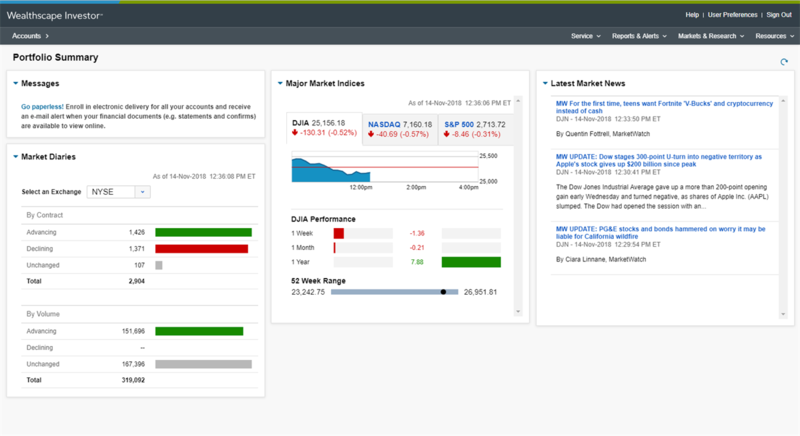 Wealthscape Investor, viewable by internet browser and mobile app, allows clients free online access to their account data, including historical statements, order status, trade confirmations, and tax documents. Additionally they may use included calculators, set up personal watch lists, and access basic market research. One of the primary client benefits is the ability to suppress paper statements and confirms through e-notification. 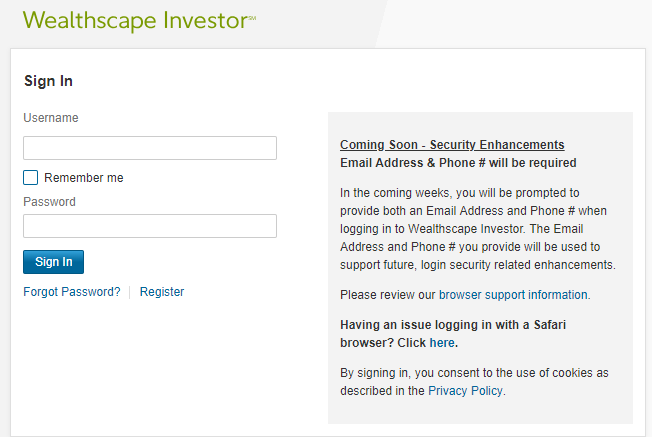 Log on to Wealthscape Investor. 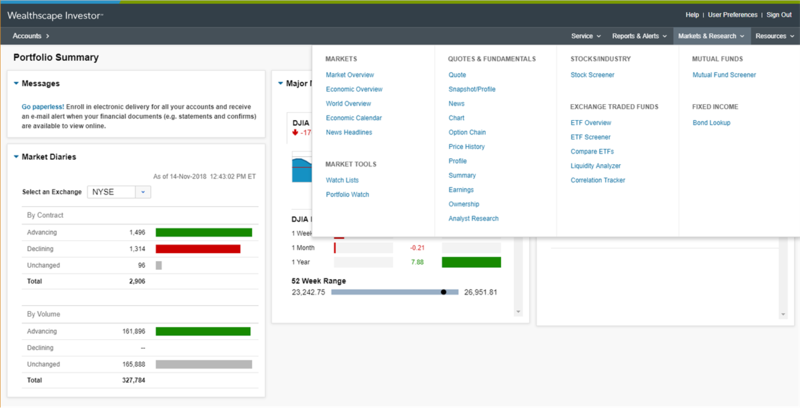 Under the Summary tab, select the account you wish to enroll. Click the "Select Action" dropdown box and select "Account Details." Under the "Account Holders" dropdown list, click the plus (+) sign for the account you wish to select. Enter the email address you wish to send e-Notifications to, then enter again for verification. Under the "Account Characteristics" dropdown list, click the plus (+) sign to expand the account details. Under "Document Delivery", select "Online" from the dropdown list for both Confirms & Statements. Select the designated pre-filled email address from the "Email" dropdown list to receive e-Notifications. Read, accept the agreement, and click "I Agree."